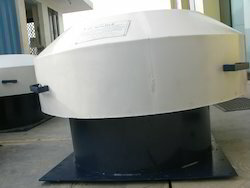 Owing to our vast industry experience and expertise, we have been able to offer Roof Extractor. To maintain the proper ventilation and cool temperature, these extractors are demanded. Exhausts large amount of the heat and smoke, these products are provided in different specifications at industry leading prices. With the aid of our experienced workers, we are devoted towards manufacturing an exquisite range of Power Driven Roof Extractor. We offer a wide range of roof extractor. Mounting- Flat or sloping roofs. 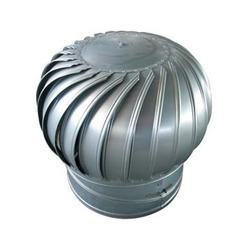 Application- Roof ventilators are ideal for clean air, low velocity application in both supply and exhaust system. Brand Roof Extractor is suitable for ventilation of workshop, Foundry, Chemical plant, Boiler, Room, Cement and Mineral Crushing plant Jute and Textile Mills etc. Where heat, humidity, toxic gases and dust are usually generated and accumulated and where common ventilation is not effective, the design of dynamically balanced high efficiency Fans ensure huge air exhaust with minimum hazard.